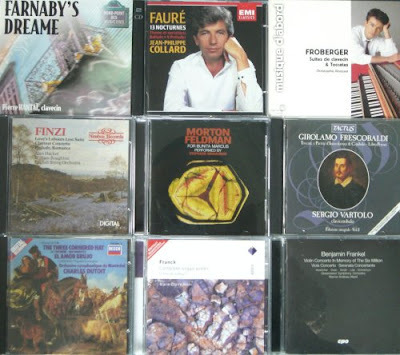 Falla, Farnaby, Fauré, Feldman, Finzi, Frankel, Frank, Froberger, Frescobaldi and more. But don't file between Boulez and Boyce. I imagine a lot of us have the same reaction: "what the F is he trying to tell us?"